Governor Greg Abbott has appointed Ebony Todd to the Texas Board of Chiropractic Examiners for a term set to expire on February 1, 2023. Ebony Todd of Fort Hood is an attorney and member of Jackson Todd Law, PLLC. She previously served as a judge advocate for the Department of the Army before her retirement from the service. She currently volunteers at Destiny World Outreach Center and as a service chair with Rotary International. Additionally, she serves on the board of the Greater Killeen Community Clinic. Todd received a Bachelor of Arts in English from Baylor University and a Juris Doctor from Texas Wesleyan School of Law, now the Texas A&M School of Law. Jennifer Hertsenberg, Operations Director of the Texas Board of Chiropractic Examiners, was recently appointed Chairwoman of the State Agency Council Board of Directors. She previously served on the State Agency Council Board of Directors as Membership Director and has been a member of the Council since 2016. The State Agency Council, formerly the State Agency Liaison Group, was established in 1983 by Governor Mark White. On March 30, 2016, Governor Greg Abbott signed Executive Order 1, which allows the Council to continue with its charge. 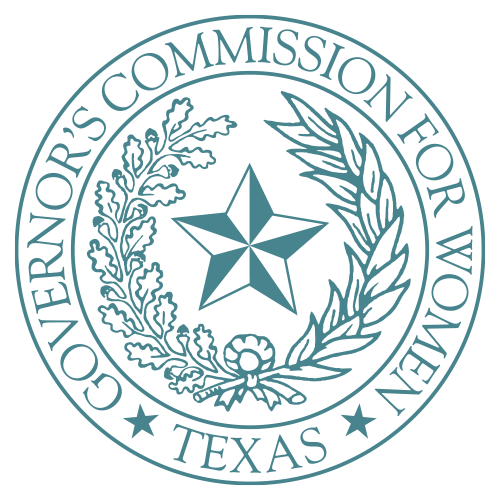 The Council’s purpose is to support the goals and activities of the Governor’s Commission for Women, host the Outstanding Women in Texas Government (OWTG) Awards, provide professional development training to its members and engage in community service projects. Membership is the lifeblood of any association and, when one is part of a profession under continuous assault, like chiropractic, fundraising is equally important. But the Texas Chiropractic Association also relies on the generous support of our partners – the companies that work directly with chiropractors in Texas and nationally. TCA is thrilled to announce a new partner – Bergquist Law Firm. Headquartered in Houston with offices in Austin, Dallas, San Antonio and McAllen, Bergquist Law Firm is TCA’s first Platinum Sponsor. TCA and Bergquist Law Firm share an important goal: we both strive to obtain the best healthcare for our patients/clients and negotiate with insurance companies to be fairly and reasonably compensated. For the past 15 years, David Bergquist and his firm have worked with hundreds of chiropractors in Texas on personal injury cases and they are committed to getting the best outcomes for you and their patients. You already should have received a letter from TCA President Dr. Devin Pettiet announcing the partnership with Bergquist Law Firm. You will get the opportunity to meet David Bergquist and his team at TCA events across the state. In addition to becoming a year-round Platinum Sponsor, Bergquist Law Firm is the primary sponsor of the TCA Tour of Texas, our grass-roots road show to reach chiropractors across the state. Despite epidemic rates of addiction and death from prescription opioids in the United States, suggesting the importance of providing alternatives to opioids in the treatment of pain, little is known regarding how payers’ coverage policies may facilitate or impede access to such treatments. To examine coverage policies for 5 nonpharmacologic approaches commonly used to treat acute or chronic low back pain among commercial and Medicare Advantage insurance plans, plus an additional 6 treatments among Medicaid plans, A cross-sectional study was conducted of 15 commercial, 15 Medicaid, and 15 Medicare Advantage health plans for the 2017 calendar year in 16 states representing more than half of the US population. Medical necessity and coverage status for the treatments examined, as well as the use of utilization management tools and cost-sharing magnitude and structure. Commercial and Medicare insurers consistently regarded physical and occupational therapy as medically necessary, but policies varied for other therapies examined. while transcutaneous electrical nerve stimulation (67% [10 of 15 plans]) and steroid injections (60% [9 of 15 plans]) were the most commonly covered among the therapies examined for Medicaid plans only.